The ability to travel using shadows in order to bring justice to those who deserve it isn't as easy as it may sound. Cool, yes. Easy? No. As I began world-building for the Shadow Rider series I realized I'd have to make some things complicated in order to have conflict both internally and extern . . . Shadow Riders are assassins who mete out justice, using shadows to travel. The Ferraro family is one of a few "Riders" worldwide, so rare that it is the duty of a Shadow Rider to marry and produce more Shadow Riders. If a Rider hasn't found someone to marry by the time they reach a certain age then . . . The ride's not over! We've had a lot of fun with Shadow Keeper and I wanted to make sure you didn't miss any of it. Here's a rundown of some of the fun things we've done for the book release. Let me know what you enjoyed the most! ********** Who is Your Shadow Rider Trainer? Take the Quiz! . . .
Actor and model Scott Nova has appeared in several of the trailers, including Dark Blood, Shadow Rider, Shadow Reaper and in the starring role of Giovanni Ferraro in Shadow Keeper. Scott was kind enough to agree to allow me to interview him in celebration of the release of Shadow Keeper. Scott, w . . . I love having the book trailers made. They're fun for me and, I hope, fun for readers who enjoy that sort of thing. For Shadow Reaper they did several interviews with the actors. There are so many, it didn't seem right to upload them all here, but I thought I would post links to them for those of y . . .
Chicago Shadow Series They're everywhere, Chicago, San Francisco, New York, but these men from the new Shadow Series have something in common, they are fiercely loyal and extremely dangerous. Oh! And they can use shadows to transport themselves to any destination, which comes in handy when you're a . . . Shadow Warrior will be out June 4, 2019! We're currently working on the Shadow Warrior book trailer which will be out in a few weeks. 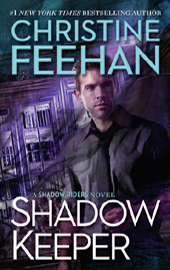 USA Today did a cover reveal for Shadow Warrior! Check out the reveal and an excerpt! I just finished writing Shadow Warrior! This is Vittorio's book. 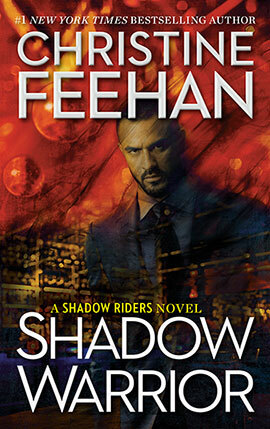 Shadow Keeper will be out May 29th and we'll finally have Giovanni's story. Since I will be attending the Romantic Times Booklovers Convention in Reno this year I hope to have some promo to share from Shadow Keeper. Hope to see you there! I completed Shadow Keeper and am so very happy with it. It was tough to write since Giovanni can't ride shadows with pins in his legs. So when things go really wrong, he must trust his siblings and his instincts!